Velour comes in all sorts. The velour you find here is the so-called nicky or jersey velour: a very fine knit fabric, smooth on the one side and with very short poles on the other side. 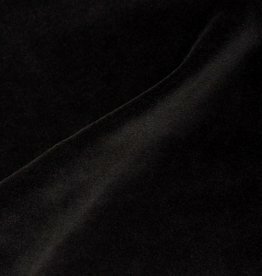 Soft as velvet, supple, and slightly elastic in width. 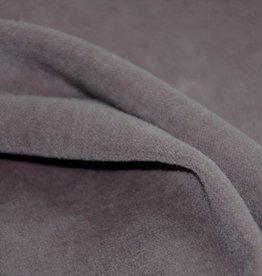 The velour is made from organic cotton and is GOTS-certified.